What Is The Osaki OS 3D Pro Dreamer? 7 Key Features Of The Osaki OS 3D Pro Dreamer! 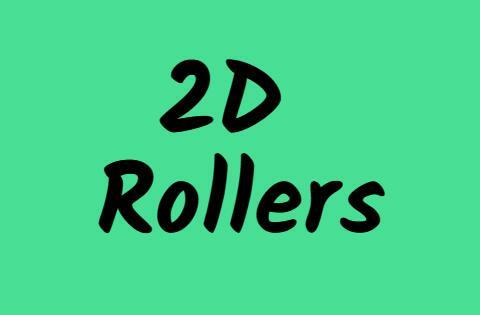 2D Vs. 3D Rollers: Major Differences! Something Important To Keep In Mind! 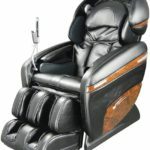 Who Should Buy The Osaki OS 3D Pro Dreamer Massage Chair? What Are Your Options For Buying This Chair? Lastly, Here’s Some Videos You May Wanna Check Out! 3D Rollers Take Back Massage To A Whole New Level! With 48 Airbags, This Is A Great Compression Chair! Flexible For Most Heights & Weights! 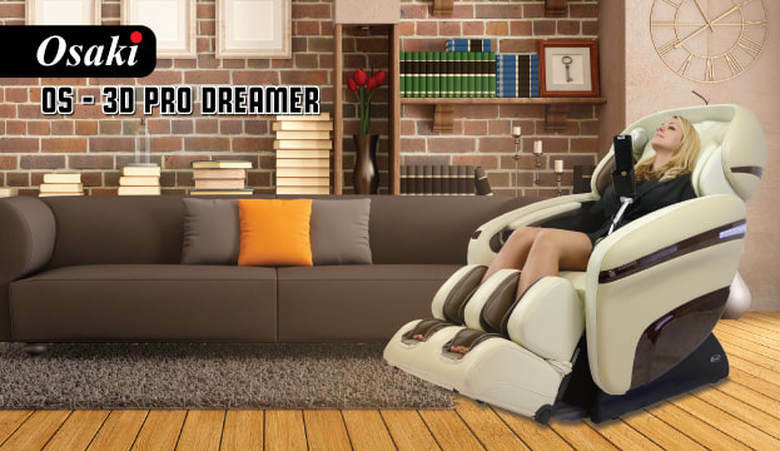 The 3D Pro Dreamer is one of Osaki’s high end massage chairs. The biggest thing that distinguishes this chair from the rest is 3D roller technology (more on this later!). 3D rollers allow this chair to deliver a strong, deep tissue massage. On a scale of 1-10, 1 being mild and 10 being deep tissue intense, the 3D Pro Dreamer can do anything from a 7-10. That being said, it’s the perfect chair for anyone looking to do deep tissue work! Many of the features we discuss here are similar to most mid and even entry level Osaki chairs. These include features such as zero gravity, computerized scanning, and lumbar heating for example. However, there are a few key differences that set this chair apart! When it comes to massage chairs, always remember the difference is in the details! This is the one feature that distinguishes the 3D Pro Dreamer from all mid end chairs, so it’s only fair we discuss it in detail. Simply said, 3D massage technology is the ability of rollers to protrude or extend outwards. Visualizing this can be a little tricky if you’ve never seen or used a 3D chair before. The image below illustrates the concept. Dimension 1: Side To Side—Rollers will traverse across the width of your back. Dimension 2: Up And Down—Rollers will traverse the length of your back, by moving up and down. Dimension 3: In And Out—Rollers can push in and out resulting in a more deep tissue massage. The one thing that differentiates 3D from 2D is the “in and out motion” listed as dimension 3 above. 2D rollers will simply move side to side, and up and down. In other words, you don’t have the option to adjust roller protrusion. Roller protrusion for the Osaki 3D Pro Dreamer can be adjusted to 6 different settings. In a nutshell, this is what 3D technology is all about. Pretty simple when you break it down by looking at what actually happens in each dimension! Now that you know how 3D massage rollers work, let’s spend some time talking about the benefits! Because 3D rollers can protrude or extend outwards, they’re able push into neck and back muscles, thereby delivering a deeper more intense massage. Body scans in 3D chairs are a lot more thorough compared to 2D. The chair is able to map out an individuals physique with a lot more detail, and as a result massage is more customized. While 3D chairs are known to be great for deep tissue work, they’re also just as flexible for light, low intense massage. How does it achieve this? Similar to how rollers protrude out to deliver deep tissue intensity, they can also retract inwards so you instead have lighter strokes. 3D is about flexibility and being able to accommodate various experiences! 3D roller technology does a pretty good job at mimicking an actual massage therapist. If you think about it, a trained therapist will move his/her hands in the same 3 dimensions previously noted i.e. side to side, up and down, and in and out. This “in and out” movement corresponds to the pressure (light/medium/deep) applied by a therapist. Since most of you have probably never heard of “S-Track” before, let’s very quickly touch on the concept. Contrary to popular belief, your spine is not completely straight. Believe it or not, a healthy spine is actually “S” shaped. Of course it’s not shaped exactly like an “S”, cause if that were the case we would all look really weird. It’s an exaggerated “S” if you will! S-Track is a technology where rollers trace the spines natural “S” curvature. This essentially makes back and neck massage a lot more relaxing and effective! Osaki 3D Pro Dreamer has twin quad S-Track rollers that track a total of 31” from the neck all the way right down to the tailbone. What Is 2nd Generation S-Track? 2nd gen S-Track is an improvement to Osaki’s 1st gen S-Track roller system. 2nd gen S-Track is tweaked to provide a tighter fit to the human spine. In a sense, it’s a lot more contoured than 1st gen.
Osaki OS 3D Pro Dreamer has 48 airbags strategically placed in regions where the rollers can’t reach. These include the following areas: arms, calves, neck, shoulders, lower back, glutes, hips, and the sides of the feet. The picture below shows exact placement. That’s A Lot Of Airbags! What are airbags, and what purpose do they serve? Airbags are simply pouches that inflate with compressed air. An inflated airbag squishes down on surrounding muscle and tissue thereby providing a compression type massage. Does having more airbags make one chair better than another? In my opinion, not necessarily. If you enjoy compression style massage, then considering a chair with plenty of airbags is worthwhile. However, I think you should always strive to find a good balance, that is find a chair that’s versatile and great at multiple techniques, not just one! 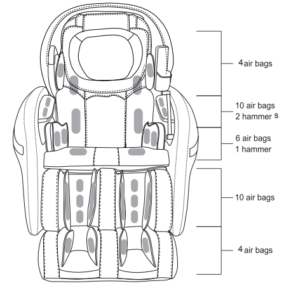 51 is the most number of airbags I’ve ever seen in an Osaki chair (OS 7200H). With only 3 airbags less, the 3D Pro Dreamer isn’t far behind at all! Full Air—This mode utilizes all 48 airbags to provide a compression style massage to the arms, calves, shoulders, neck, head, lower back, glutes, thighs, and feet. A mode best suited for air compression lovers! Quick—Designed to provide a quick, refreshing massage for anyone in a rush. Total duration is 8 minutes! Anti Stress—In this mode, emphasis is given to the neck. Different massage strokes such as rolling, tapping, shiatsu, Swedish, and kneading are applied to the neck and surrounding area. Music Sync—The chair’s seat vibration syncs up to the tune of your music! Recovery—In this particular mode, emphasis is given to the neck, upper and lower back areas. A variety of massage techniques are employed. Wake Up—Full body mode that features a light tapping technique. Muscle Relief—This mode focuses on the lower back. Starts off nice and slow, and then gets pretty intense! Stretching—Uses airbags to firmly grip and stretch various muscles such as the thighs and calves. Zero gravity is a feature that’s so common in massage chairs today. It’s a reclined seating position where your torso to leg angle is approximately 128 degrees. In this position, your feet will be elevated relative to your heart. There’s a plethora of benefits to sitting in a zero gravity position. These include reduced spinal tension, expanded lung capacity, and increased circulation. 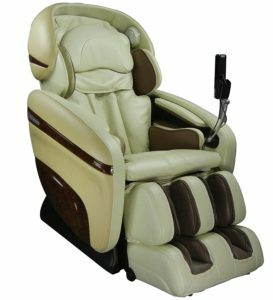 The Osaki 3D Pro Dreamer features 2 stages, or 2 zero gravity recline positions. Stage 1 is normal zero gravity, and stage 2 is reclined even further back. As mentioned previously, body scan on a 3D chair is a lot more comprehensive than on a 2D chair. The Osaki OS 3D Pro Dreamer massage chair comes equipped with a 3D point navigation system whose job it is to scan and map your entire back. Upon completion of the scan, the 3D rollers will be able to perform a customized massage based on spine curvature, user height, and other scan based parameters. Main objective of computerized scanning is to provide a personalized massage for a variety of body types! I couldn’t care much for built in speakers and LED lighting, but I know a lot of people take that stuff pretty seriously. Osaki 3D Pro Dreamer comes with built in speakers that are mounted along the side of the backrest. To play music, simply connect your smartphone via aux cable into the jack. This chair also features what Osaki likes to call chromotherapy LED lighting. Really, it’s just blue LED lighting on the side panels! And there’s also 2 heating pads in the lower back area of the chair. This is nice, but I prefer having heat applied a little higher up on the back. Heat can be turned on/off as required. Most people look at this chair and they only focus on the 3D rollers. It’s great that they do because make no mistake, 3D rollers are what sets it apart. However, with 48 airbags it’s also an awesome compression chair. When I review a massage chair, I look for balance. A good chair is one that is balanced in all areas (compression, rolling, kneading etc.) not just one. The Osaki 3D Pro Dreamer is a great example of this! 2nd Gen S-Track Is A Step Forward! Innovation is everyone’s favorite: “show us the next big thing such as space saving, zero gravity, or 3D technology and we’re sold!”. Continuous improvement excites me a lot more than new fancy shmancy features (these are nice too, don’t get me wrong!). That being said, it pleases me to see Osaki have improved their S-Track technology. 2nd gen S-Track is much more tighter and contoured than it’s predecessor! 3D Makes A Huge Difference! If like me you enjoy deep tissue massage, you’re gonna love 3D rollers. My own chair (which isn’t an Osaki) has 3D rollers and boy are they awesome! You can immediately tell the difference between 2D & 3D. 3D feels a lot closer to a human massage whereas 2D was still a little lacking. On the flipside you do get a longer track span with 2D, so there’s a trade off for sure. A Chair Suited For Tall People! Not something that impacts me, but worth pointing out either way. User flexibility is very important for massage chairs, and not all chairs can accommodate larger frames. This is an exception! Wish It Had A Longer Track Span! I wasn’t sure if I should mention this or leave it out. This is less a “con”, and more a wish than anything. If the 3D Pro Dreamer had a longer track span, like 40-47”, it’d be a full 10/10 from me! Track span is the only big thing I can think of that’s missing from this chair. All other areas check off nicely! 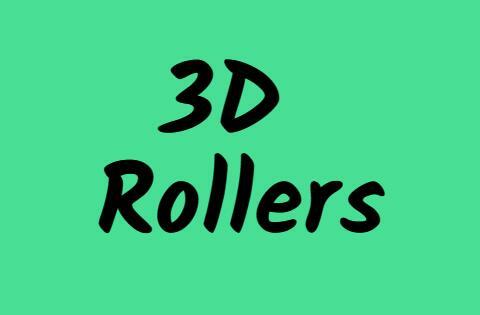 We’ve already touched on some of this previously, but let’s quickly look at the key differences between 2D & 3D rollers. The biggest difference between 2D & 3D rollers is that 3D rollers can protrude inward and outward. This entire dimension is what differentiates both roller types. If you were to visualize this in action, think of rollers protruding out and pushing up against your back, or retracting inward such that there’s less contact with your back. This one difference in roller mechanism results in all the subsequent differences we will discuss below! Because of their ability to protrude outward, 3D rollers can achieve a much stronger and deeper massage intensity compared to 2D rollers. 2D rollers are restrictive in that they only move up or down and side to side. Because it’s still a fairly new technology, expect to pay top dollar for a 3D chair. You’re looking at anything from $3.5K upwards. Tough to find a chair that’s even in the $3000 range to be quite honest. 2D chairs in comparison are much cheaper generally speaking. If you were to scour the market, you’d find a heck of a lot more 2D chairs than you would 3D. At this moment in time, 3D is a relatively new technology so most manufacturers only have a couple units in their product lineup that feature 3D rollers. 2D chairs typically have a much larger track span compared to 3D chairs. It’s not uncommon to find 2D chairs with rollers that traverse 47” or even 53” for that matter. On the contrary, don’t expect to find this in a 3D chair just yet. 31” track spans seem to be the current range for 3D chairs at the moment. However, maybe this will change in the not so distant future! First and foremost, many of the differences noted above are based solely on my experience with different massage chairs. Secondly, things can and will change as manufacturers continue to release new chairs. For example, maybe in about a year 3D chairs will have extended track spans that traverse 50”. Maybe 3D technology will take over completely and 2D will cease to exist! I honestly don’t know what’s in store for the next couple years, but I do know these are the differences between 2D & 3D at the present time! Anyone Looking For A Compression Heavy Massage Chair! With 48 airbags, the Osaki 3D Pro Dreamer is a great chair for anyone who enjoys compression massage. All 48 airbags have been placed in areas that are inaccessible to the rollers. Anyone Who Can Afford It! We are way past entry level and mid end chairs. High end chairs like this don’t retail for cheap, and not everyone can afford the premium. Provided your budget allows, Osaki OS 3D Pro Dreamer is an incredible chair to consider! Anyone Looking For Deep Tissue Intensity! There’s very few massage chairs capable of producing deep tissue intensity. The Osaki 3D Pro Dreamer is one such chair. That being said, if deep tissue massage is an absolute must for you, then you should definitely consider this chair. Mind you, deep tissue may sound nice but it can get pretty intense and while it does tend to be incredibly effective, it’s not everyone’s cup of tea. Be certain that this is what you want before you buy! Anyone Okay With Having a Smaller Track Span! As mentioned earlier, 3D chairs usually tend to have rollers with reduced track span. If you’re okay with a 31” track span, then by all means go for the 3D Pro Dreamer. However, if having a longer track span (where rollers track all the way down to your hamstring) is important to you, then consider purchasing an L-Track chair. I’ve done reviews on several L-Track chairs such as the 4000LS, Pro Maxim, and TP 8500. You can check out the reviews by clicking the links. When it comes down to it, you have a couple different options. Although, the one I recommend is massage chair deals. 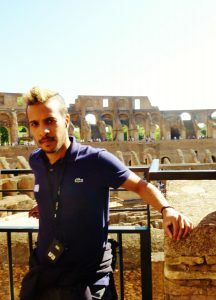 I will receive a commission should you choose to purchase the 3D Pro Dreamer using my affiliate link. My main objective with these reviews are to educate and advise, so you can make an informed buying decision. Disclosing any potential incentives/commissions allows me to be 100% transparent with my readers. You Get Special Perks!—How does an extra 5% off sound? For a chair that costs $5K, that’s $250 off. Pretty swell huh! Enter in my special coupon code “MAM5” at checkout and get 5% off! Lowest Price Guarantee—They guarantee the lowest price. If you find lower, they will match and potentially beat! Free Shipping, Interest Free Financing, And 24/7 Support! If you wanna check out the Osaki 3D Pro Dreamer on massage chair deals, click the link below. Amazon—Click here to check latest pricing (affiliate link). 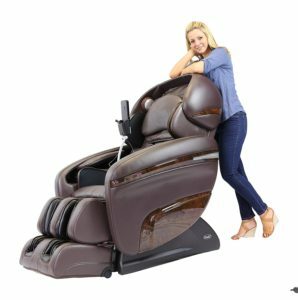 Go Local—Pay your local massage store a visit, and see if they have the Osaki OS 3D Pro Dreamer massage chair in stock. If you’re interested in buying the Osaki OS 3D Pro Dreamer massage chair, I highly recommend you check out the videos below. They put into action everything we’ve talked about thus far, so you get a really good idea of how it all functions. All video credit to massage chair deals. Here’s a video that demonstrates some of the features discussed previously. Here’s one that explains how the airbags and 3D roller system functions. And here’s one that goes over the remote control functions, and what each button does. I’ve always thought Osaki does a fantastic job as far as remote controls are concerned. Everything is so well laid out and very easy to understand! Lastly, here’s a video that discusses assembly and installation. As you can see, assembly is really not that bad! If you have any burning questions, definitely feel free to reach out. You can either leave me a comment below or send me an email (support@massagersandmore.com), whatever works for you! If you enjoyed reading this review, please consider sharing on the socials. Stay tuned for more reviews!